Balinese backyard. 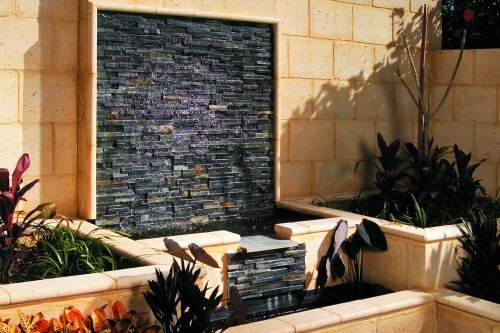 The owners of this courtyard garden had visited Bali on several occasions and wanted to replicate this atmosphere in their own backyard. Restricted space and a dominant three metre wall were key obstacles that required consideration. Multi level walls and water features make this small space appear a lot larger than it really is. Exuberant and unusual colourful planting makes this courtyard a winner all year round. Stepping stone paths lead to secluded reflection areas with calming water features, reminiscent of a Balinese resort.